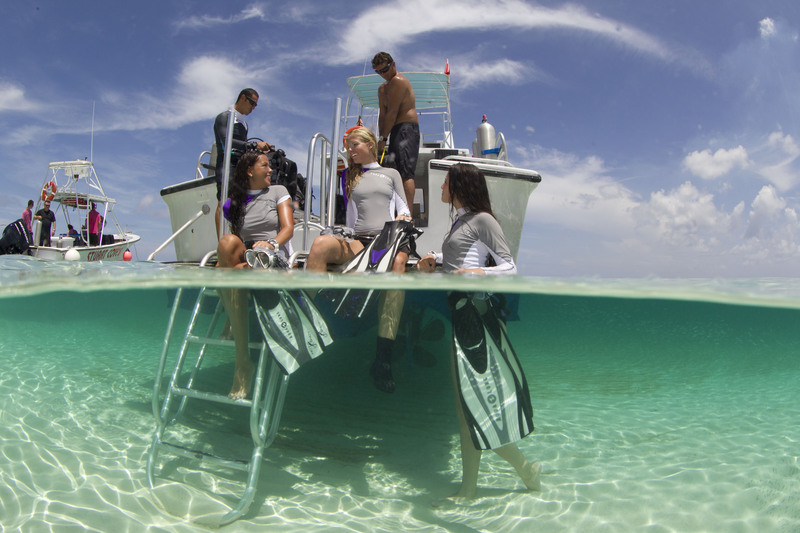 The Open Water Diver course is an entry-level certification course for new divers. The Open Water Diver Course is for anyone looking to Learn to Scuba dive and obtain a scuba diving certification. You must be 10 years and over of age to take this course and be in good health. 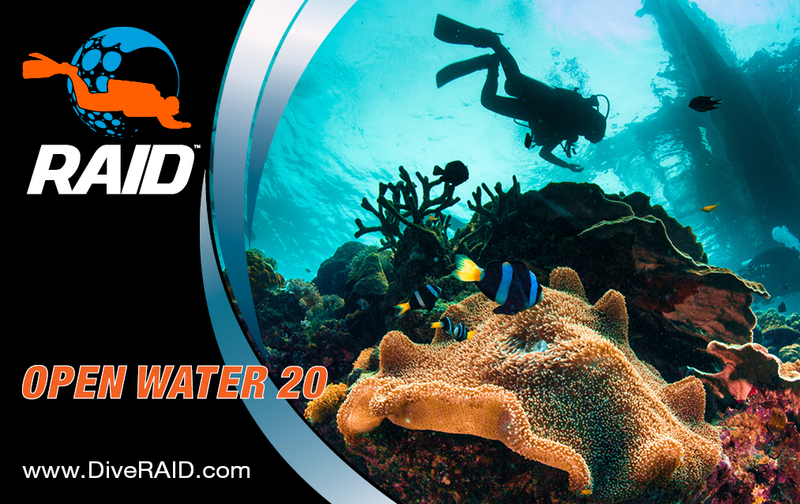 Graduates will receive the RAID Open Water 20 or Scuba Diver certification card allowing for open water dives. 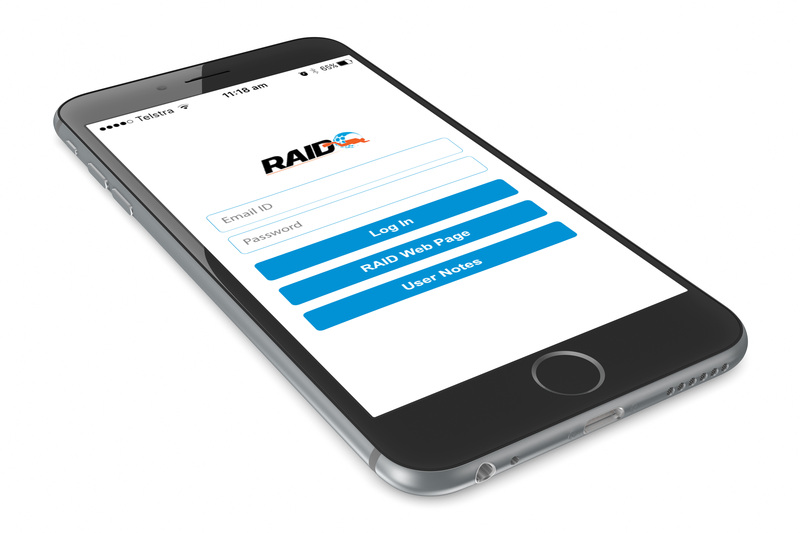 RAID certifications are recognized and accepted world wide. While you are completing the online course your dive Instructor will coordinate a time for you to complete the water training portion of this course. This official training program is developed to meet the standards for scuba education established by RAID. 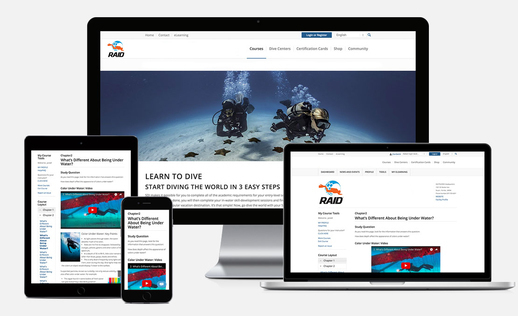 The RAID Open Water Scuba Diver Course will cover all of the necessary skills and knowledge for open water scuba diving. You may complete the course at your own pace. The course can be completed in one sitting or a little at a time over several days. Log in and out at any time, and we'll keep track of your progress.